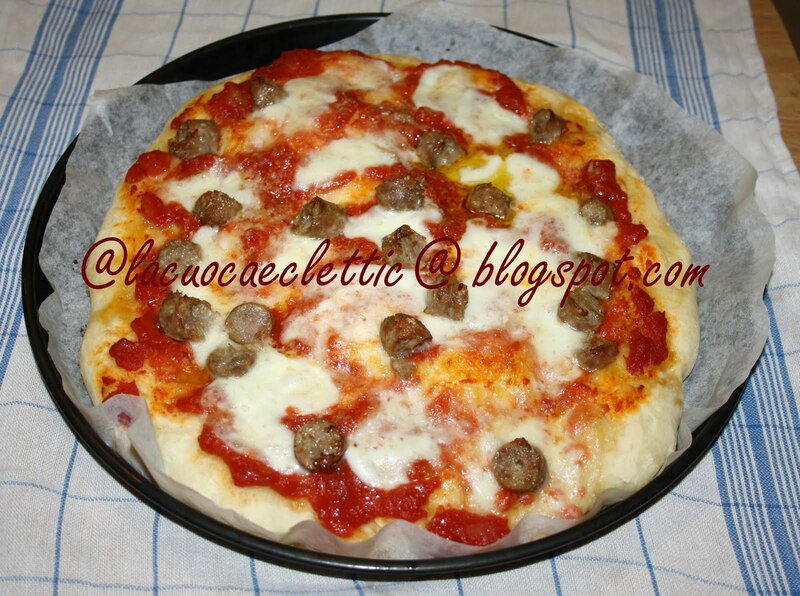 Serves: 4 people Difficulty ': Easy Preparation time: 50 minutes INGREDIENTS 400g. 20cm of pizza dough. 200g of sausage. Fontina cheese 1 cup tomato sauce salt oregano oil -------------------------- PROCEEDINGS Roll out the dough on the bottom of an oiled dish. Remove the skin and crumble sausage into small pieces. Pour the tomato sauce on pasta, diced fontina, sausage and sprinkle with salt and crushed oregano. Bake in preheated oven at 200 degrees for 40 minutes and serve. 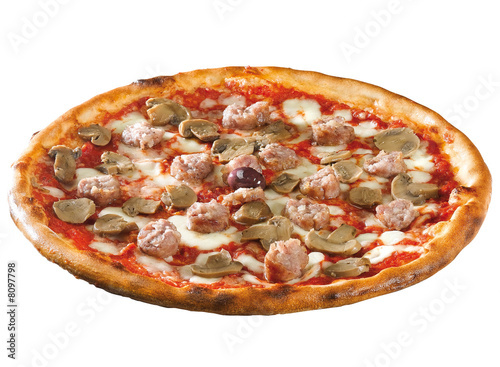 Pizza with sausage that make new thing in pizza taste.This looks so good! I'm going to try it.